He also recently served as coordinator of the diocesan synod in the Diocese of San Diego, CA, and as an adjunct faculty member of the Academy of Church Leadership at the Santa Clara University. A native New Yorker, Fr. Hurley was raised in Manhattan, the Bronx and Huntington, Long Island, NY. He entered the Paulist Fathers in 1970 and was ordained in 1977 by Servant of God Terence Cooke. He earned a B.A. in Religious Education from the Catholic University of America, a Master of Divinity degree from the Washington Theological Union and a Doctor of Ministry degree from the Jesuit School of Theology in Berkeley. Among his many assignments for the Paulist Fathers, Fr. Hurley served as pastor of Old St. Mary's Cathedral in San Francisco, CA; administrator of St. Austin Church in Austin, TX; executive director of the Paulist Fathers Office for Financial Development; director of Paulist Reconciliation Ministries; coordinator of strategic planning; and as a pastoral associate and evangelization leader at St. Philip Neri Church in Portland, OR. He also served for more than 20 years on the Paulist General Council. Fr. Hurley also has worked extensively in evangelization leadership roles for the larger Church in the United States. 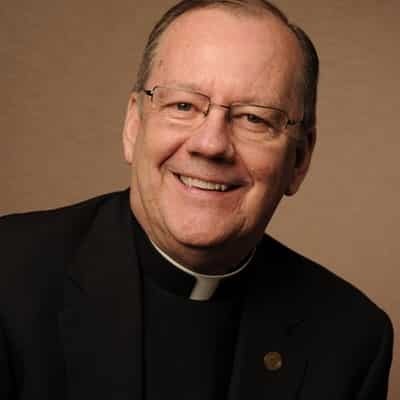 He was executive director of the United States Conference of Catholic Bishops’ Secretariat for Evangelization, where he served for almost nine years. He also led the New York City-based National Pastoral Life Center and the Archdiocese of Baltimore Department of Evangelization. His service in Baltimore included co-chairing the Mid-Atlantic Congress. In 2014, Fr. Hurley launched New Evangelization Strategies. Through this ministry, based in San Francisco, Fr. Hurley helps diocesan leaders, parish leaders, councils and others create a new paradigm for evangelization. This includes his work with the Diocese of San Jose and the Diocese of San Diego. Fr. Hurley has given keynote addresses, workshops, parish missions and retreats in dioceses across the United States. To reach Fr. Hurley, please e-mail JEHurley@paulist.org. You also can find him on Facebook, Twitter and Pinterest.